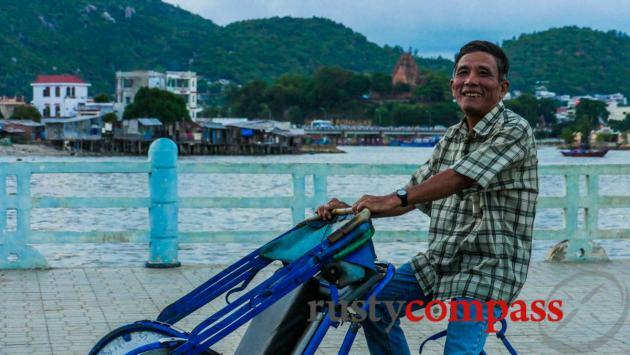 An independent travel guide to Nha Trang with candid reviews and recommendations. No sponsored content, no advertorial. Cycling up river from Nha Trang is worthwhile. Nha Trang - beautiful bay on one side, concrete and steel on the other. Nha Trang is where the mass beach tourism juggernaut has landed most heavily in Vietnam. It’s a beautiful place, but it’s struggling under the strain of concrete, high-rise and high-impact package tourists. The good news is that there are still reasons to come here - especially if you’re heading overland up the coast and you don't mind doing a little exporation. The best argument for a stay in Nha Trang these days may be the fact that beaches to the north and south of the city are home to some of Vietnam’s best high-end resorts. 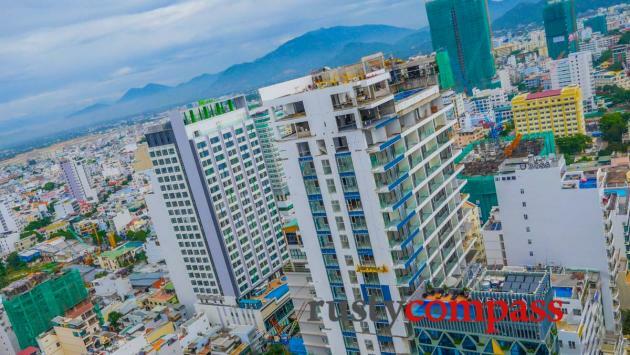 Cam Ranh, right by the airport and better known as the war-era location of a massive US naval base, is fast developing as a resort destination. 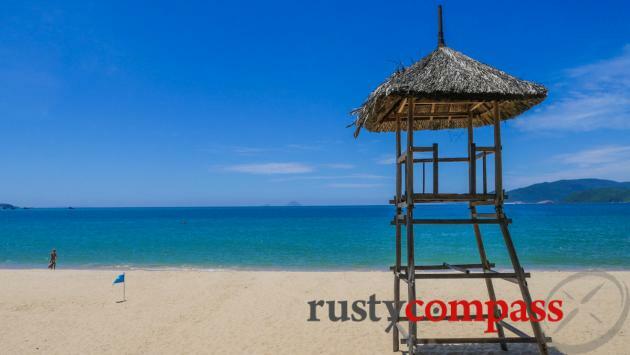 To the north, secluded Ninh Van Bay has been been on the luxury tourist map for a decade. 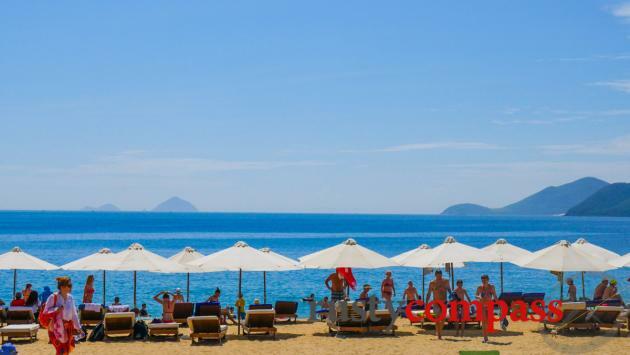 Check out Nha Trang's resorts here (including Cam Ranh and Ninh Van Bay). If you’re staying in town, expect a mass tourism destination and all that entails. Head back off the beach, avoiding the tour coaches as you go, and you can get some great local food and a fun local vibe. 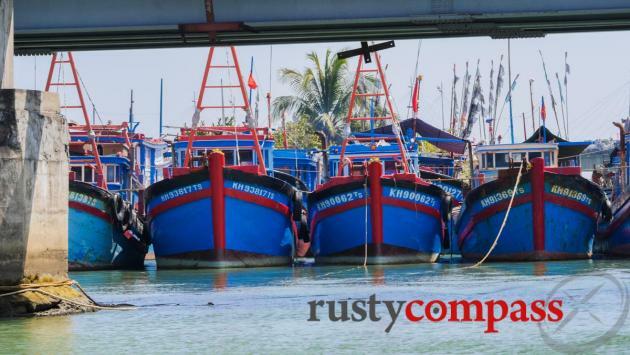 Nha Trang’s bay is beautiful - but the water quality is a concern. 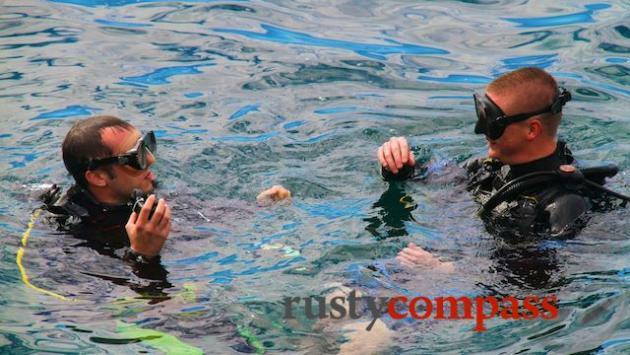 The best swimming from a water quality perspective is away from the bay to the north or the south. 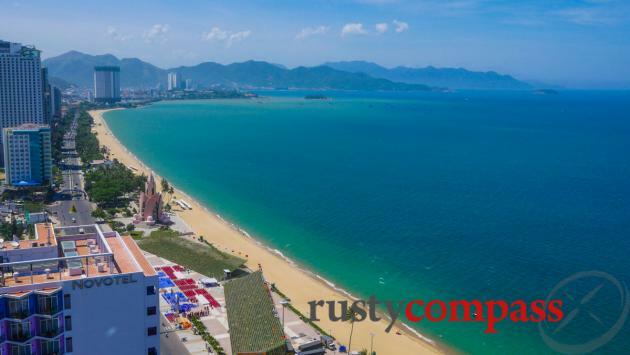 Nha Trang's tourism scene has changed dramatically in recent years. A once booming backpacker crowd has contracted and the Chinese and Russian package tourists have arrived in force. 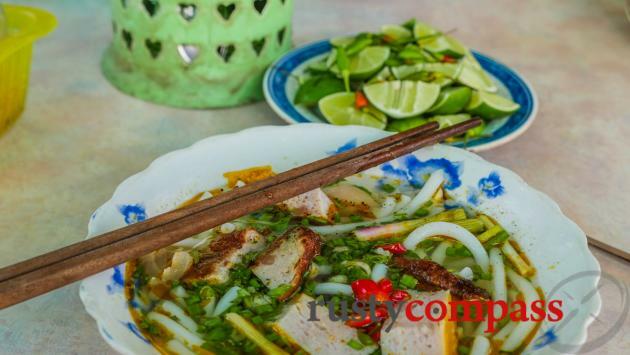 Vietnamese restaurants are now serving Chinese and Russian cuisine. 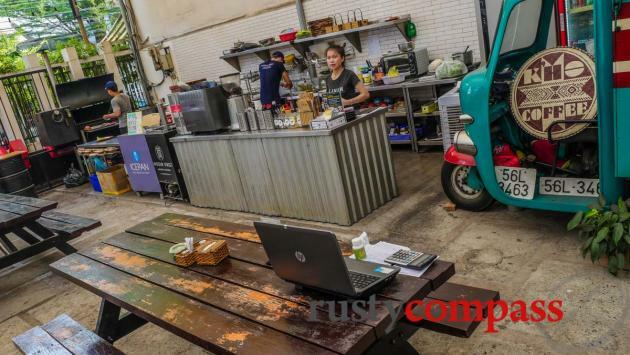 If you seek it out though, the local food scene is alive and well. Nha Trang is also a big domestic tourist destination - especially during holidays. Avoid the peak of summer and Vietnam’s national holidays (Tet, April 30, Sept 2) and you can still have a relaxed time here - but we can’t help but feel Nha Trang has sold itself short. 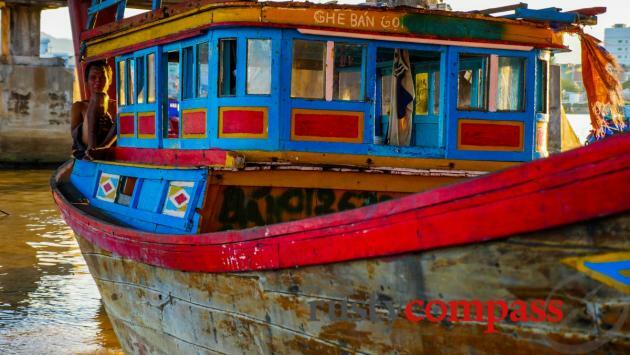 Check out our recommended things to do in Nha Trang here. Here's a short video I shot cycling north of Nha Trang for a dip. The first post Vietnam War wave of sun seeking tourists to Nha Trang’s picturesque beaches arrived in the 1980s. They were from the former Soviet bloc. The Soviet Union was crumbling, but those with the means travelled to the far flung beach destinations of fraternal communist allies. And there was an expat population from Eastern Bloc scattered around Vietnam. By the 1990s, the Soviet Union had ceased to exist and a modest travel market to Nha Trang had dried up. Vietnam’s economy was facing a parallel disaster with the loss of its superpower patron. 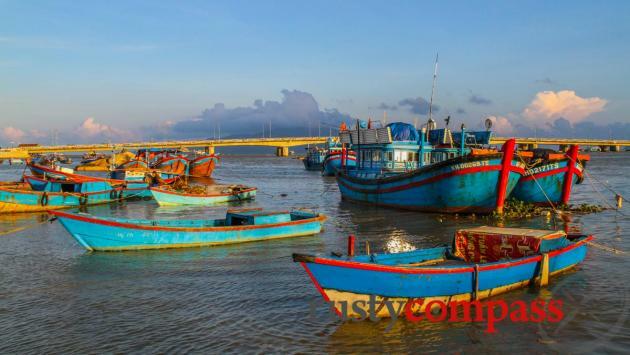 Fearing it might go the same way, Vietnam opened its doors to foreign investment and foreign travellers. 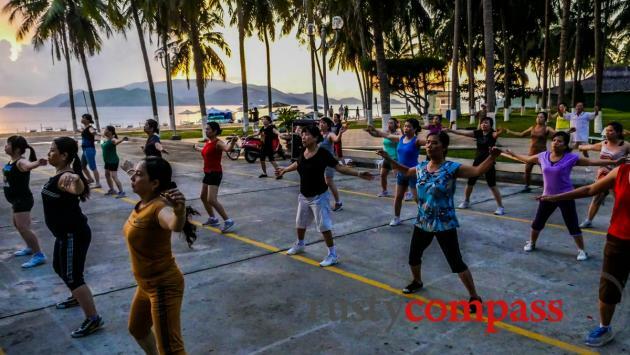 Adventure seekers from the capitalist West discovering the reforming communist state, quickly fell for Nha Trang’s charms. In those days, Nha Trang was a sleepy fishing town with a gentle rhythm, a handful of decaying, low-rise state-run hotels and some of the country's best fresh seafood. This video is from one of my early visits in 1993. Things have changed a lot since then!! Over the past decade, Nha Trang has embraced mass tourism with gusto. The once sleepy town is now packed with high-rise hotels. There’s little evidence of a plan. Mellow streets are clogged with tourist coaches. It’s especially intense during Vietnamese summer holidays and public holidays. Nha Trang's setting is perfect; a stunning bay dotted with islands, neatly enclosed by lush mountains. Add to that a climate that delivers dependable sunshine 10 months a year, and Nha Trang pulls together some irresistible elements. Back in 2011, Nha Trang was dealt a savage blow when National Geographic Travel magazine designated it one of the world’s worst beach destinations on account of its poor environmental and cultural stewardship. The National Geographic sledging seems not to have deterred travellers however, who continue to arrive in droves - bolstered by a booming domestic travel market. In 2017, there’s no evidence that city officials have taken note of any of the warnings. 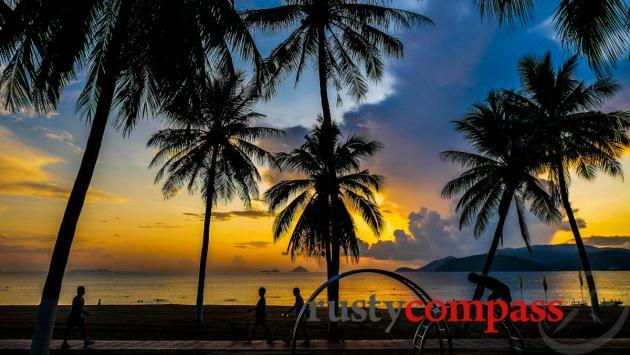 Nha Trang is a long way from being Asia's most charming or most beautiful beach destination, but it can be a good value, place to take a few days of sea and sun during your Vietnam travels. Nha Trang town may be suffering the impacts of mass-tourism but to the north and south of the town are some of Vietnam’s best beach resorts. Ninh Van Bay has been attracting luxury travellers since Six Senses opened their high-end rustic resort a decade. There are now three resorts on the bay. 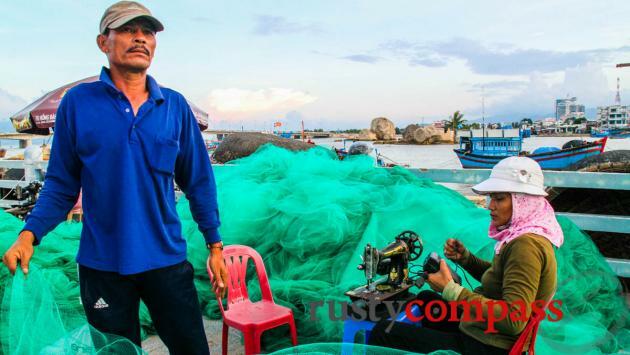 Cam Ranh Bay is Vietnam’s newest beach tourism destination. It has the advantage of being right by the area’s main airport. The beaches are crystal clean. Apart from hanging out in your resort, there isn’t a lot to do by way of nightlife, dining or activities. No doubt this will change quickly. Check out our hotel and resort recommendations here. 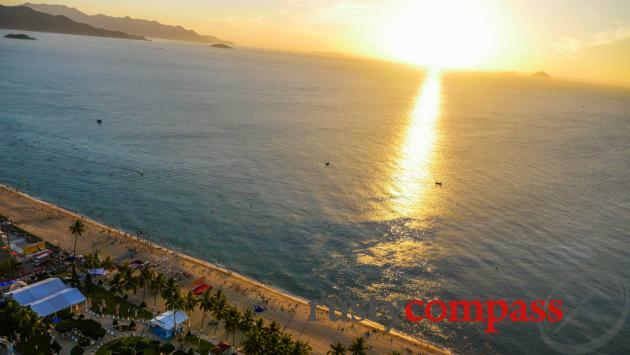 Nha Trang enjoys some of the best weather of any place in Vietnam. The sun shines dependably for most of the year. The period from October to early December can be wet and grey - otherwise, expect hot, humid days and balmy nights. 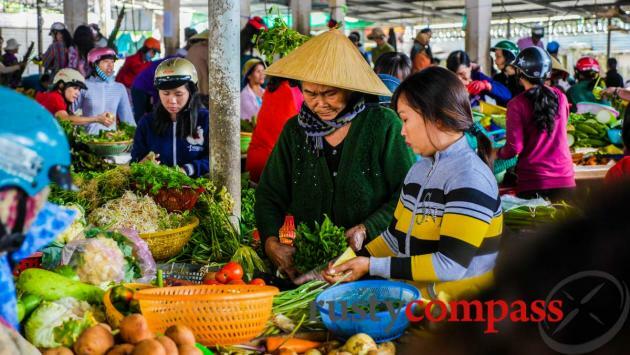 Local holidays will have a big impact on a visit to Nha Trang as well. Prices rise and crowds can be overwhelming. The long mid-year summer holidays in July and August are busy. Tet and other major local holidays also see huge crowds descend on the town. 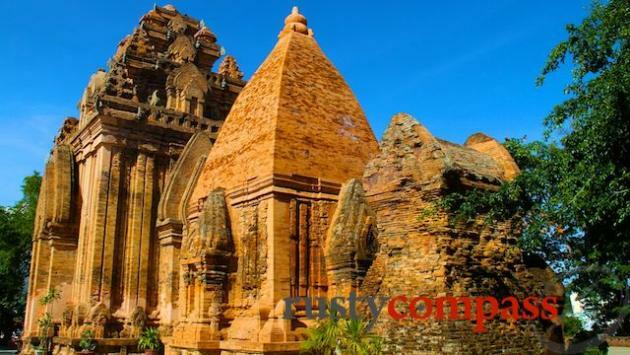 Nha Trang’s Cam Ranh Airport is gathering pace as an international destination with a handful of regional carriers and budget carrier AirAsia operating international services. Domestically, Nha Trang is served by all three domestic carriers - Vietnam Airlines, Vietjet and Jetstar. Cam Ranh Airport is 52kms south of Nha Trang. There are taxis available at the airport and an inexpensive shuttle operates a regular service. If you’re staying at one of the resorts in Cam Ranh, you’ll be right by the airport. If you’re staying at Ninh Van Bay (Six Senses and other resorts), you’ll be a further distance and a boat ride away from your resort. 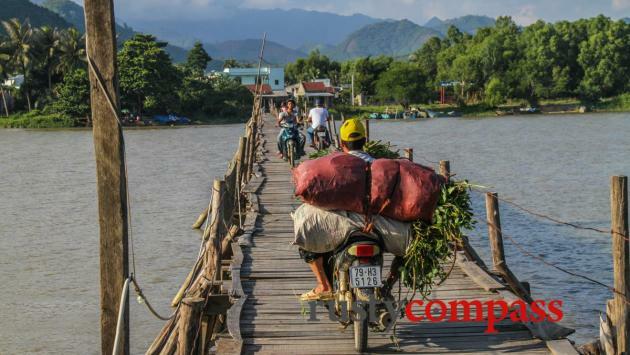 in Nha Trang, you can get around by taxi, cyclo, bicycle and on foot. Good quality bicycles are hard to come by. Take care with cyclos and be sure to agree a price in advance. Petty crime can be a problem in Nha Trang - especially for party going travellers out late. Be especially wary of pickpockets - often women on motorbikes - late at night. Violent crime involving tourists is still rare but does occur. Medical facilities in Nha Trang are still basic. The local district hospital will be your best bet but if it’s a serious health issue, you’ll be better off in Saigon or heading out to Singapore or Bangkok.